Back in the backlot of an architecturally unassuming Westchester industrial park is the brainchild of two neurologists, Drs. Joseph and Berg, both brewed from the great crockpot of talent that is Manhattan’s AMC. The Animal Specialty Center is in many ways not unlike the dozens and dozens of veterinarian clinics I’ve toured around the country. Dedicated staff. Check. Exceptional and compassionate care. Check. One things stands out, however as the focal point. And it stands tall. Say ‘Hello’ to my lil new friend, the Cyberknife. To frame the entirety of this part of our story accurately, a bit of history is in order first. 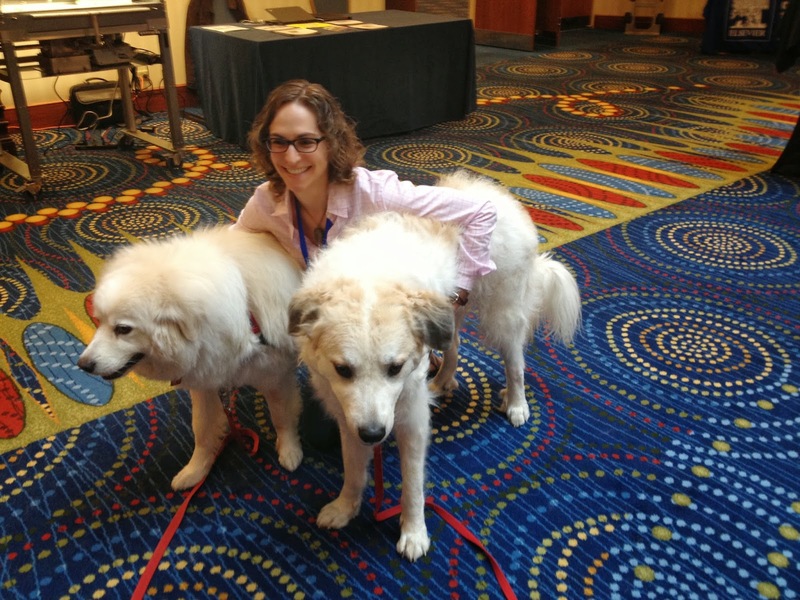 I met Dr. Sue, one of ASC’s medical oncologists back in San Diego 2010 while giving a presentation about our Walk 1 – Austin to Boston – to the attendees of the Veterinary Cancer Society (VCS) Meeting. Come full circle, last October at VCS Twin Cities, we met again and she extended an invitation for me to visit their clinic in Yonkers. 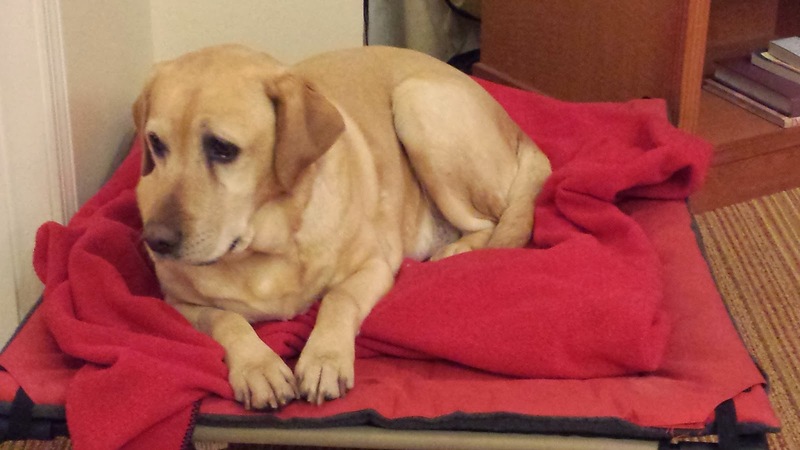 A reunion perhaps of greater prescience than either of us could’ve known at the time as Blake, one of two beautiful rescue labs and part of the 2 Million Dogs family was diagnosed only weeks afterwards with meningioma becoming an ideal candidate for the Cyberknife. Blake’s mum, Chris, is one of our PUPS out of Baltimore and last week I spent time at ASC filming their story and learning about the relative benefits of Cyberknife vs. fractionated radiotherapy vs. stereotactic radiosurgery. Since I’m no scientist, I always try to reduce things down to their most basic elements and from my understanding, the differences between the three are merely a matter of time and precision. When he was DX’d with nasal adenocarcinoma just weeks after the conclusion of Walk 1, I chose IMRT once Withrow at CSU ruled him ineligible as a surgical candidate. I chose a slow course of radiation for an inoperable tumor and not only did it fail, Murphy developed a secondary Sarcoma in his nasopharynx. I got the best clinical advice at CSU but ultimately, I made a decision as a father rather than a patient and that faultline proved fatal and Murphy didn’t even make it a year. That’s the trade off between the three types of radiology at least from a textbook perspective. Time and precision and clinical outcome. Blake underwent three days of Cyberknife treatment and godwilling, that’s all she’ll ever need. I firmly recommend exhaustive research and due diligence for the best most effective long-term treatment plan if you have a companion animal with cancer, along with the wise counsel of a vet oncologist. I was grateful to be an honored guest at ASC last week; to herald in their 6 year anniversary, and most importantly, be there for friends of ours, Chris and Blake. And although I didn’t get a slice of their birthday cake, I have bigger sights in mind. To a few trusty friends I texted the image of the Cyberknife and it scared the hell outta them in a RoboCop sorta way. Not me. 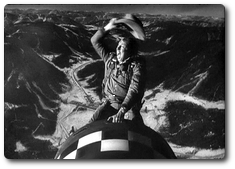 I’m from Texas and all I could think of was mounting it and riding it like Slim Pickens did a nuke in Dr. Strangelove into a blaze of glory. Thanks to the staff of ASC for being generous and accommodating during our time there and to Drs. Joseph and Berg for being pioneers in the field of veterinary medicine. Scenes from the roadside 3 or 4?